S. David Smith - For the Industry. By the Industry. 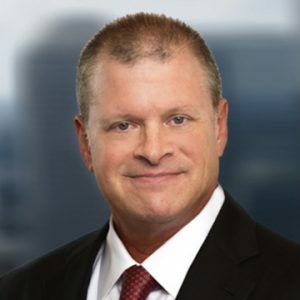 David Smith’s practice is primarily focused on providing counsel to financial service companies across a number of states, representing lenders and servicers in the mortgage, auto finance, credit card, payday and auto title lending areas. David’s litigation experience is broad, having represented clients in a wide variety of matters but with a particular focus in financial services, consumer finance, and real property litigation. David is board certified in Consumer and Commercial Law by the Texas Board of Legal Specialization. He also served as chair of the Board of Trustees of the Texas Center for Legal Ethics.